Vitamin B-12, also called cobalamin, makes up an essential part of your diet -- your body can't produce it on its own, so you rely on the vitamin B-12 from foods to prevent a deficiency. Generally, you don't need to take vitamin B-12 supplements to maintain healthy B-12 levels, and a well-rounded diet provides all the vitamin B-12 you need. However, if you consult a doctor to take vitamin B-12 supplements, they can recommend a dose that will prevent B-12 deficiency. 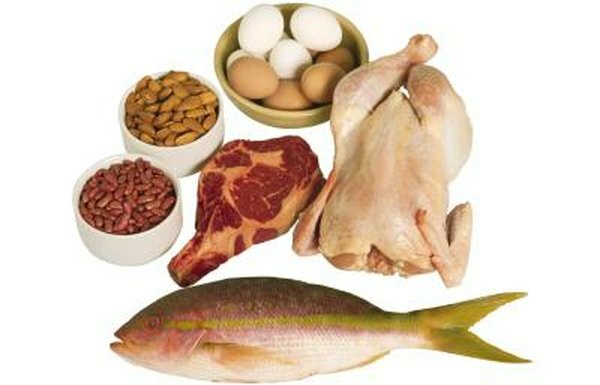 Your body uses vitamin B-12 to produce heme, the active component of hemoglobin. Each red blood cell comes packed with hemoglobin protein, and the heme found in each hemoglobin molecule allow your red blood cells to bind oxygen in your lungs and carry it throughout your body. You also need vitamin B-12 for proper nerve function -- low B-12 levels negatively affect your nervous system, interfering with your brain function and sense of touch, and can cause permanent nerve damage. Most women need 2.4 micrograms of vitamin B-12 each day to prevent a deficiency. However, pregnancy and breastfeeding increase your intake requirements -- pregnant women should consume 2.6 mcg of vitamin B-12 per day, while lactating women need 2.8 micrograms daily. You may need a vitamin B-12 supplement if you have a deficiency, but only take dietary supplements under your doctor’s supervision to reduce your risk of side effects and negative interactions with medications. If you have trouble absorbing the vitamin B-12 from foods, your doctor might recommend a moderate dose of vitamin B-12 -- around 100 to 400 micrograms, according to the Linus Pauling Institute at Oregon State University. Under other circumstances your doctor may recommend that you take up to 2,000 mcg of vitamin B-12 per day. Although dietary supplements can be advantageous over food sources when you have a specific vitamin B-12 deficiency, foods with vitamin B-12 tend to be more nutrient-dense and contain other important healthy substances such as fiber, according to the Office of Dietary Supplements. Unless your doctor suggests that you take a supplement, you should be able to reach your daily vitamin B-12 goals as long as you include milk, milk products, beans, eggs, meats, poultry, nuts and fish in your diet.